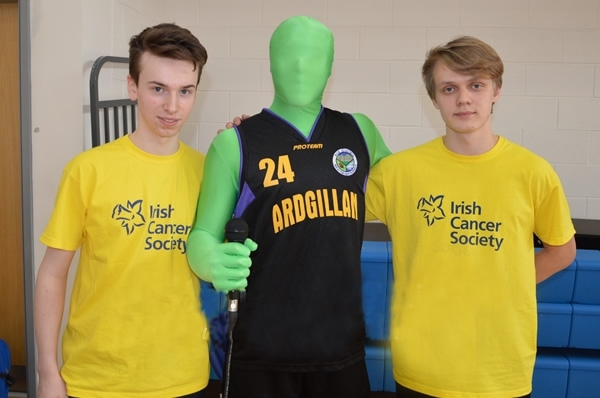 On March 24th, members of our Senior Boys Basketball team organised a Student vsTeacher basketball match in aid of the Irish Cancer Society and Daffodil Day. 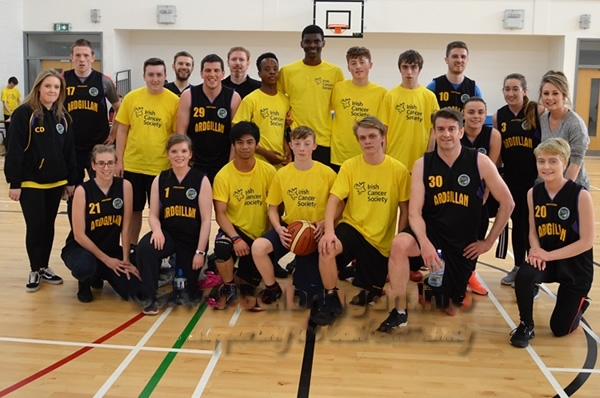 Over 100 students bought tickets to the game which was very competitive and saw the students win by 14-10. 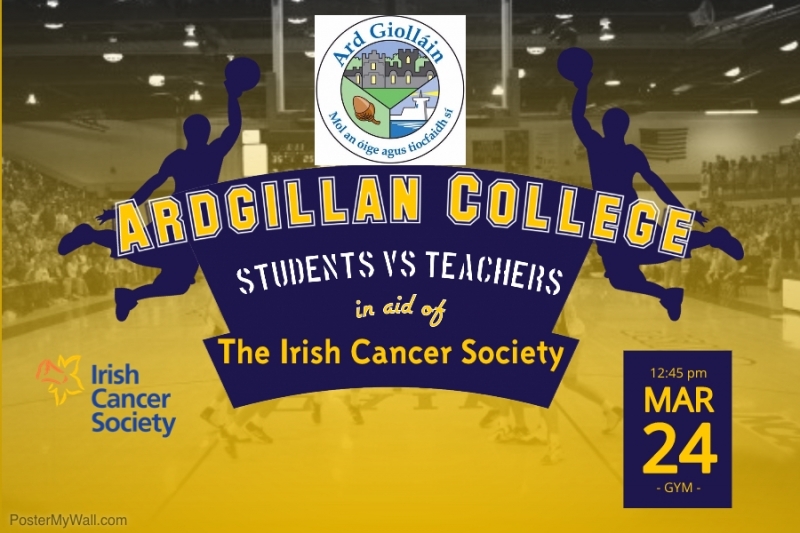 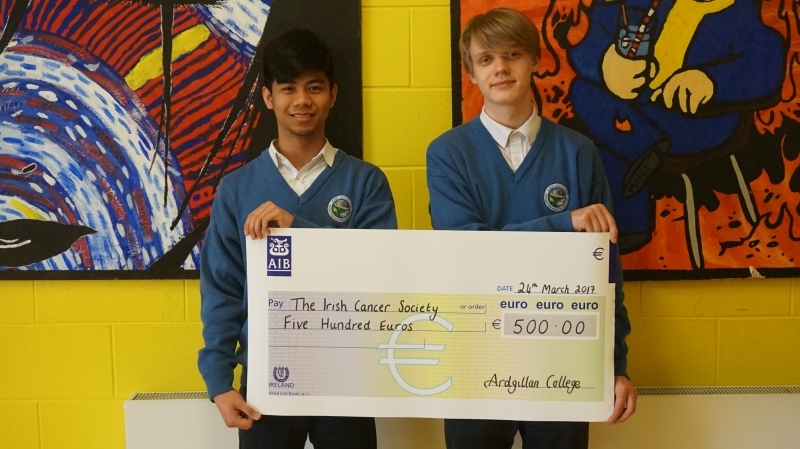 The event raised €500 for the Irish Cancer Society and will hopefully become an annual event in Ardgillan Community College.